An easy worksheet to fill in the missing letters on the dotted line. 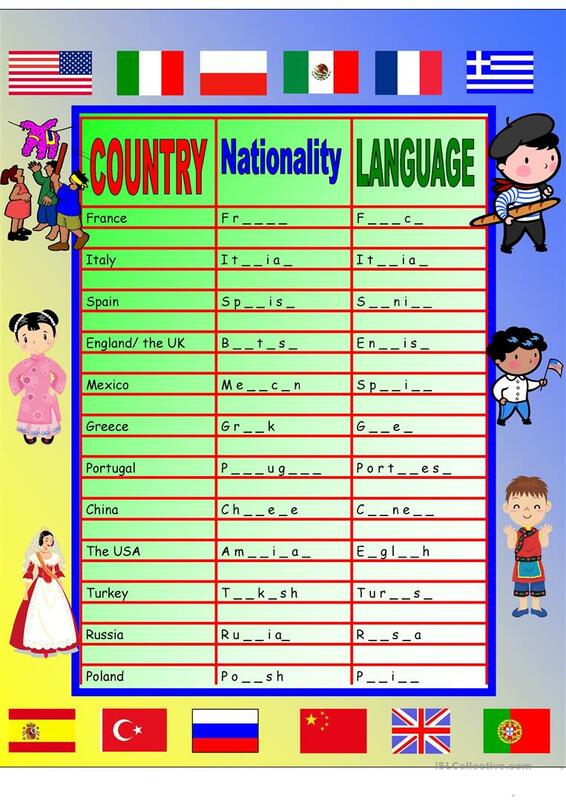 Review prior to completing the worksheet the people's names and languages of each country. The teacher could complete the poster, print, and post in the classroom. The present downloadable printable is meant for elementary school students and adults at Beginner (pre-A1) and Elementary (A1) level. It is useful for strengthening your class' Reading and Writing skills. It features the topic and words of Countries and Learning languages.